Do you have plantings and grasses that set your property apart? Having a lush, green front lawn and healthy, colorful plants can make your home look beautiful and distinct—but keeping them that way can be hard work. Fortunately, the landscapers at O’Grady’s Landscape can take care of all your lawn maintenance needs so you won’t have to! When you call us, our uniformed mowing crews offer courteous and professional service, while enhancing the quality and appearance of your lawn. And you can rest assured that turf fertilization and weed control by our certified chemical applicator will keep your lawn green and weed-free all year! When it comes to lawn care in Chantilly we’ve got all your needs covered. So don’t wait to start taking care of your landscape—call us today at 703-533-5001 to schedule lawn maintenance in Chantilly and we’ll get back to you with an estimate within one business day! From weekly lawn care visits to one-time service calls, O’Grady’s Landscape can provide you with the seasonal and year-round assistance you need to keep your landscape looking beautiful and healthy. But make sure to book as far in advance as possible! 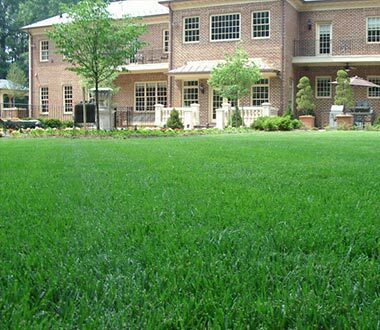 We typically fill our lawn maintenance service early, particularly in the fall and spring. If you don’t see what you’re looking for above, view our landscape maintenance services to learn about the other upkeep services we provide in the Chantilly area and surrounding. Are you ready to give your landscape the attention it deserves with our Chantilly lawn care service? From lawn mowing to leaf removal to lawn installation and more, you can trust the professionals at O’Grady’s Landscape to get the job done right no matter what. Our landscapers have extensive experience in the field and our tools are state-of-the-art so you can be confident in the quality of our service. Let us take care of the upkeep work so you can focus on your busy schedule and still come home to lush, healthy plants and grasses. Call us at 703-533-5001 to schedule a consultation for lawn maintenance in Chantilly and we’ll get back to you within one business day!